NYC is Blue: Get Yer Scarves Here! 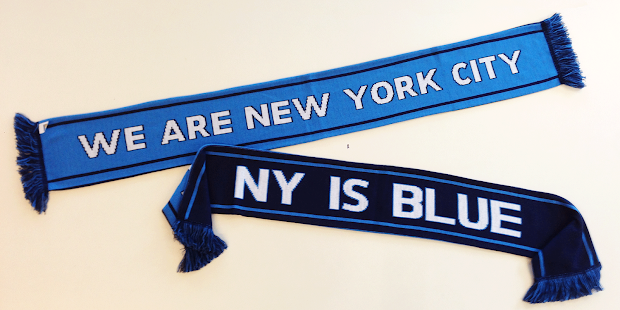 I have a limited number of NYCFC supporter scarves left over from Saturday's meeting. I'm selling them for $20 plus $6.25 postage/handling. International shipping is available, cost to depend upon your location. All proceeds will go towards legal fees for incorporating the supporters' group. If you're interested, let me know with a comment below or contact me on Twitter. Supplies are limited: first come, first served! Hi, I was wondering if you had any scarves left. 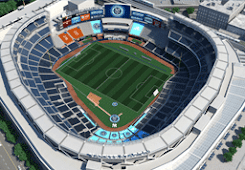 Down to my last couple - hit me up on Twitter @NYisBLUE or email me at soccerchance (at) me.com for details.